Dr. Sherwin Hariri always appreciates feedback from his valued patients. To date, we’re thrilled to have collected 9 reviews with an average rating of 5 out of 5 stars. Please read what others are saying about Dr. Sherwin Hariri below, and as always, we would love to collect your feedback. Dr. Hariri is excellent at explaining your Cardin detail, doesn't feel like he's rushing. Dr. Hariri was extremely knowledgable and thorough. He immediately put me on a new allergy regiment. His staff was also wonderful! Dr. Hariri is as good as it gets. He takes his time with you and answers all your questions with ease. He defiantly knows his specialty. I'm a problem patient and come with a very complicated situation and every other doctor kept passing me around to other doctors because they didn't know how to treat me. By the time I found Dr. Hariri I was in a situation where he literally saved my life, and at that point I had only seen him once, and while I was at the hospital per his instruction, he got calls left and right for a month about my case and since he was so thorough in his initial consult, he was able to help me and the other doctors out and avoid double testing. Every time I call or go in the office staff is as comforting as could be. I defiantly would and have refer Dr. Hariri to my friends and family. Best allergist in Beverly Hills! I still cannot believe that after years of suffering from seasonal allergies, and seeing several other allergists in the area, nobody could treat me with the right medications. Dr. Hariri CORRECTLY treated me after only ONE visit! I love this Doctor, his staff, and his beautiful and calming office. I don't know where to start! 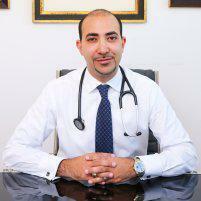 Dr. Hariri TRULY is a genuine, smart and caring physician. His office is beautiful and located in the heart of Beverly Hills. I had a bad rash on my face for years; he did skin testing and patch testing and he found out that I am allergic to chemicals in my make-up! Once I changed my make-up, my rash disappeared. After only 3 visits, I am rash-free and my skin looks beautiful again! Thank you Dr. Hariri for all you do. I HIGHLY recommend this amazing allergy specialist to everyone! Thanks to brilliant Dr. Hariri and the amazing crew for taking care of me and make me smile every time I go. Highly recommended. I had an amazing experience! I came in today as new patient for a severe rash. Dr. Sherwin and his team were more than phenomenal. Everyone in his office was extremely knowledgable and professional. I would highly recommend Dr. Sherwin in the future to friends and family members who are seeking the assistance of an allergist in the greater Los Angeles area. We accept major insurance plans. If you don't see your provider in the list, please contact our office for more information.